The Old Mills Park and Barlow’s Pond were re-developed in 2006. The pond and the waterway below the dam were cleaned and dug out in order to make it more conducive for fish habitat. The fish ladder was also updated to enable trout and other species to swim in and out of the pond. A pedestrian bridge was erected across the pond, allowing residents and tourist to explore the new park and use the various trails. In the park, you will find a replica of one of the old mills; it also serves as a tourist information centre. A new playground was constructed and modern fitness equipment was installed for public use. The new Old Mills Park is a focal point of the community and is frequently used by residents of Wellington and the surrounding areas. The Boys and Girls Club remains an important recreational facility for our young people. The Club holds many summer activities, including sports, a youth club and day camps. There are tennis courts adjacent to the Old Mills Park. The former ball diamond located on the Mont-Carmel Road has been transformed into a bicycle park. With the closing of the railway on PEI, an opportunity arose from the abandonment of the rail corridor as a transportation link. 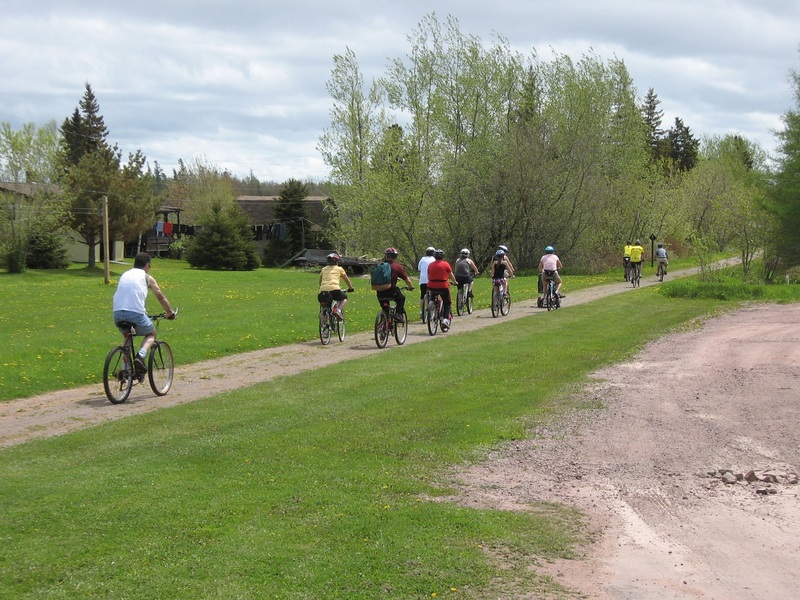 The Confederation Trail has become a highly utilized recreation facility. The portion of the Trail that runs through Wellington dissects almost the entire northsouth length of the community. The PEI Snowmobilers Association has been granted exclusive use of the trail in the winter months. During the remainder of the year, tourists and residents of Wellington utilize the trail for walking, jogging and biking. The Trail is now linked to the Old Mills Park.